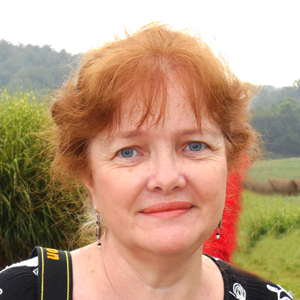 Lauren will guide us by telling wisdom stories to provide reflection upon the spiritual life. The majestic mountain labyrinth will be offered to honor our Path. Lodging can be made directly with Ghost Ranch and that information will be available through the links below. Please join us on this journey to nourish your creative self. New Mexico’s high desert awaits you. 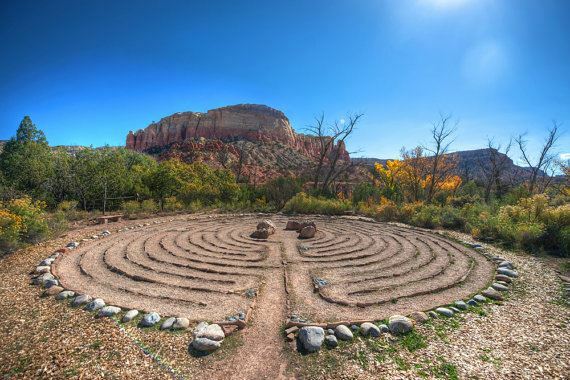 With a history as colorful as the surrounding red and yellow cliffs of the Piedra Lumbre (shining stone), Ghost Ranch is an education and retreat center offering a diversity of programs and adventure. Open year-round, the Ranch is committed to spiritual development, peace and justice, honoring the environment and exploring family through the celebration of art, culture and nature. The landscape of Ghost Ranch—made famous by painter Georgia O’Keeffe—encompasses 21,000 acres of towering rock walls, vivid colors and vast skies. 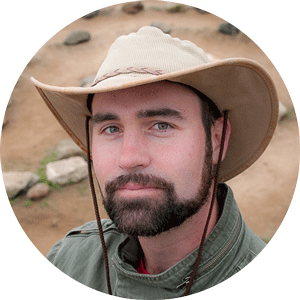 People from all over the world come to work together in creation care, to paint, write poetry, to hike, ride horseback, to research globally renowned archaeological and fossil quarries or simply to rest and renew their spirits. For more information on the history, geology and activities of Ghost Ranch, see www.ghostranch.org. 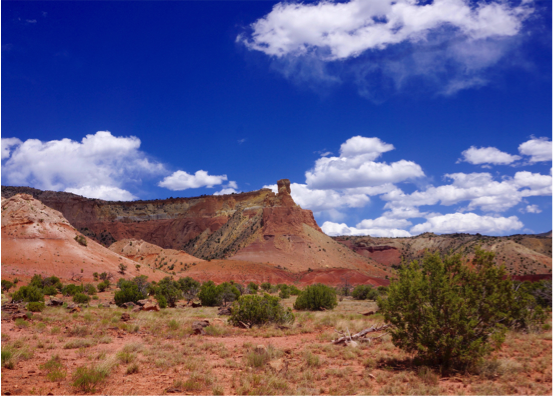 For information on getting to Ghost Ranch, click here. Their Reservationists are prepared to help you set up your reservations. 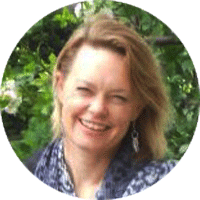 Lauren is author of Walking a Sacred Path: Rediscovering the Labyrinth as a Spiritual Practice, The Sand Labyrinth Kit and The Sacred Path Companion: A Guide to Walking the Labyrinth to Heal and Transform (Putnam/Riverhead Books, New York). 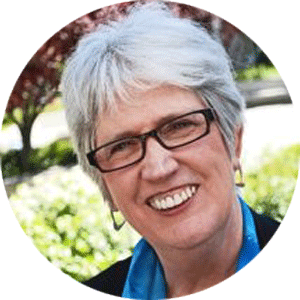 She is the Founder of Veriditas and an Honorary Canon of Grace Cathedral in San Francisco. She travels worldwide offering workshops and lectures on the labyrinth including a twice a year program in Chartres, France. 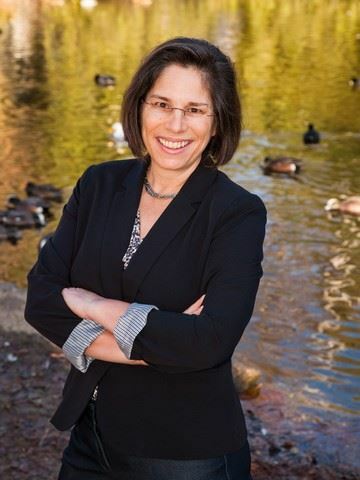 In addition to being an Episcopal priest, she is a spiritual director and licensed Marriage and Family Therapist in the State of California. Interested in having Lauren Artress lead a workshop and Facilitator Training in your area? Download her speakers packet here. Book your accommodation package directly with Ghost Ranch. Their Reservationists are prepared to help you set up your reservations. 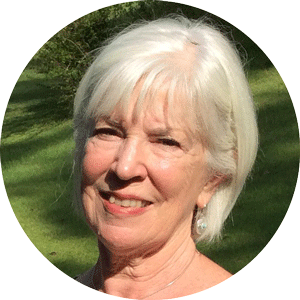 Led by Judith Tripp, MA, MFT, a member of the Veriditas Faculty, a transpersonal psychotherapist, leader of Women's Dream Quest, and teacher. She leads pilgrimages and retreats in the US, Europe and Australia. She is also an author, a musician and singer. Anyone who comes to Chartres whether it be to visit the labyrinth, to explore the magnificent medieval architecture or to meditate in the glory of this always sacred site, soon realizes that this holy place is an homage to Mary. The Sacred Feminine is alive and well in Chartres and has been throughout history. We will create a sacred circle to explore how Mary has been honored in Chartres throughout history. 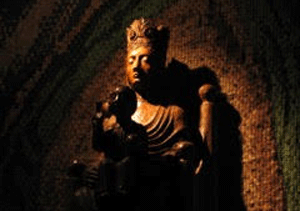 We will meet her spirit through lecture, meditation, art, music and ritual. We will share insights, creations and stories. Includes one special evening labyrinth walk in Chartres Cathedral. This can be a stand-alone workshop or a perfect pairing with to Cycle One of Walking A Sacred Path. No meals are included. Join us with Dr. Kayleen Asbo in Chartres, France for Walking a Sacred Path Program about love and friendship as a transformative path. We will explore stories across the centuries that call us to healing, hope and transformation: the Greek myths of Psyche and Eros, and Orpheus and Eros; the unconventional love stories of the poet Rainier Maria Rilke and Lou Andreas Salome and the extraordinary friendship of Brother Roger of Taize and Mother Teresa of Calcutta. The heart of our week will be about two figures from the Middle Ages, one Christian and one Muslim, who each embodied joy in a time of suffering and the spirit of friendship in a time of enmity: Rumi and St. Francis. Each day will begin with poetry of the world's great mystics and we will sing and dance, side by side, the lay devotional songs from the Middle Ages of both the Franciscan and the Sufi traditions. In our tours of the Cathedral, we will highlight the story of how the construction of this magnificent Gothic masterpiece rests on the the knowledge of alchemy, sacred geometry and Aristotelian philosophy - wisdom that had been preserved by Islamic scholars. 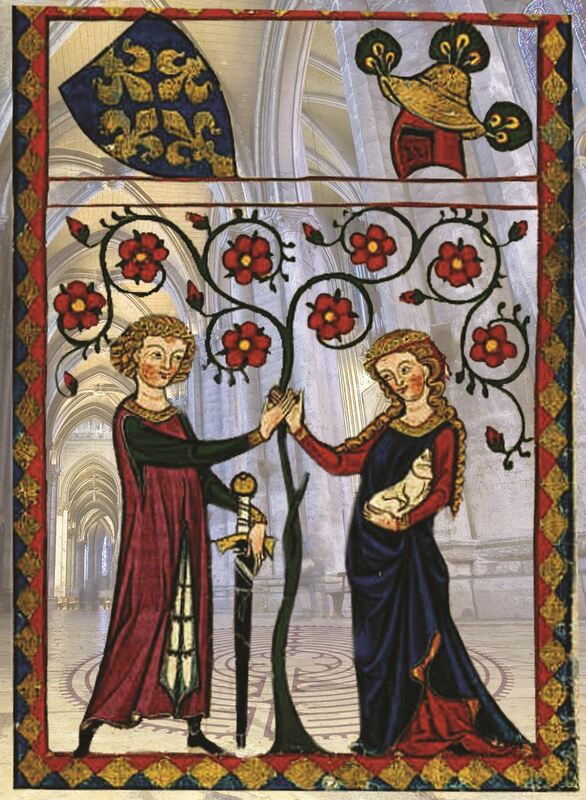 And together, as the crown of our week, we will walk the labyrinth by candlelight in a ceremony of mutual blessing, honoring a tradition that began as a movement for peace during a time of war during the Middle Ages. and the Maison St. Yves where the programs are held. Walking the labyrinth is being embraced as a spiritual practicethroughout the Western world mostly because of Veriditas trained facilitators. The Veriditas Facilitator Training -- which began in 1997 -- remains the most rigorous and comprehensive training offered. Please note: prior attendance at a Veriditas qualifying workshop is required. The Pilgrimage prior to this training in Chartres is considered a qualifying workshop. 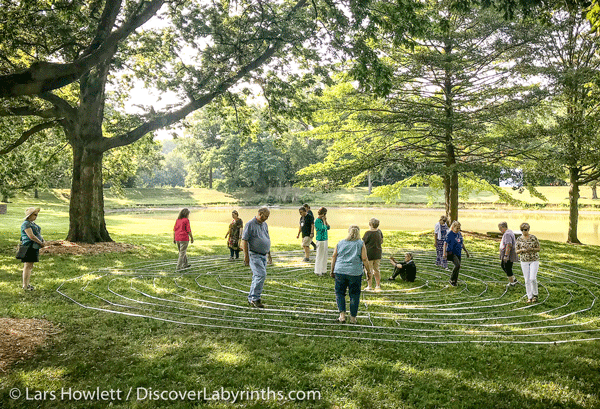 Labyrinth Summer School Qualifying Workshop - A one-day workshop for anyone interested in beginning or renewing their connection to the labyrinth. 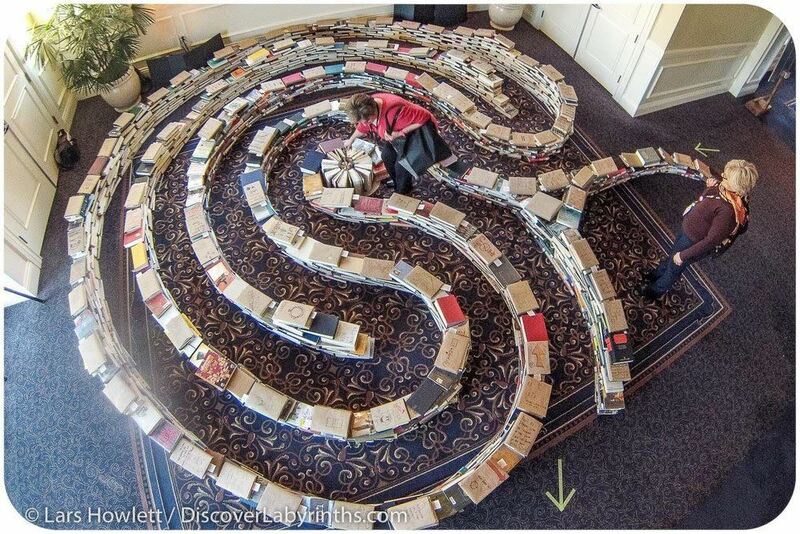 How does the labyrinth serve to create and sustain community? What will you offer from your life and experience that may deepen the experience of walking in community? In what ways can we walk together on the path? 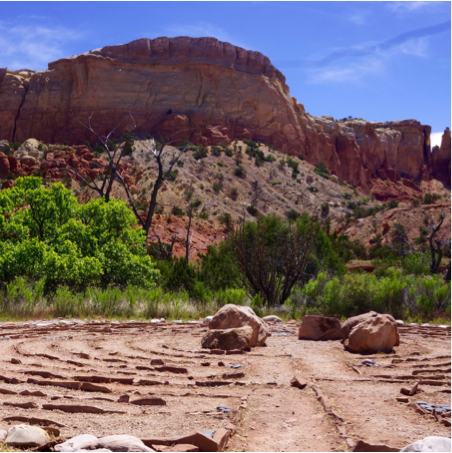 Following an introduction to the labyrinth, the workshop will take us into exploring our deep-rooted principles and lived-out values. 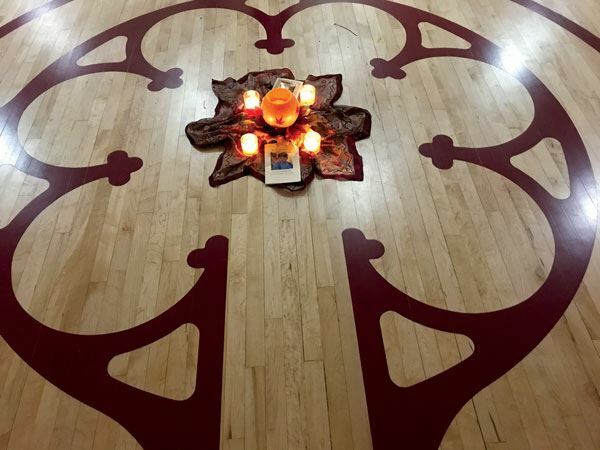 We will look carefully at ways the labyrinth provides a radically welcoming sacred space for groups and communities as they work toward reducing the distance between us, honoring the gifts of one another and being a healing presence in a society that is experiencing much hurt and injustice. Our Friday evening session includes a Summer Solstice Labyrinth Walk. 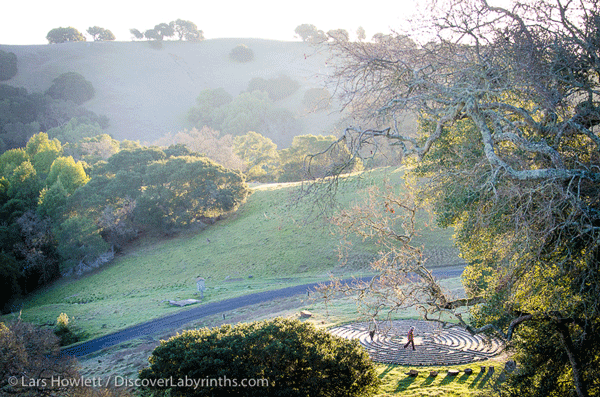 The Saturday workshop will include a session on creating beloved community on the labyrinth. We hope you will join us for this unique labyrinth experience nestled in the beautiful, forested small rural community near the Hudson River and Stony Point State Park in New York. the Reverend Dr. Kay Mutert. 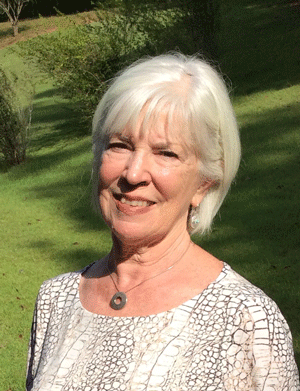 Following an extended time of work with all ages in education and music, Kay then served as a minister in the United Methodist and British Methodist churches. 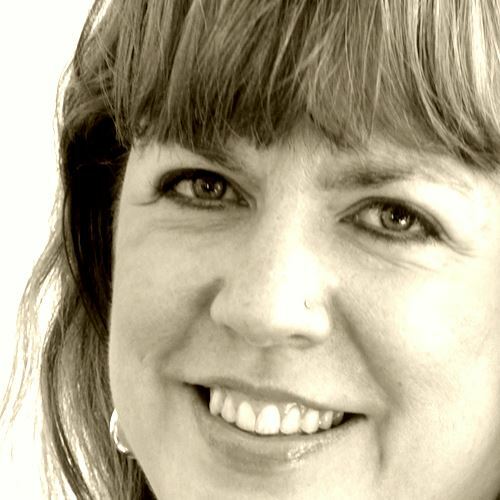 When she left her local church ministry Kay created "DaySpring - a source of creative expression and renewal of spirit", as a conduit to work with a broader circle of community. Through her labyrinth work, she uses her experience as musician, teacher, minister, and spiritual accompanist with groups and individuals from diverse arenas of life, inviting them to discover the possibilities of the labyrinth in today’s world. RESERVATIONS FOR ON-SITE ACCOMMODATION NOW AVAILABLE. CLICK HERE TO BOOK. Join us and immerse yourself in the world of labyrinths. 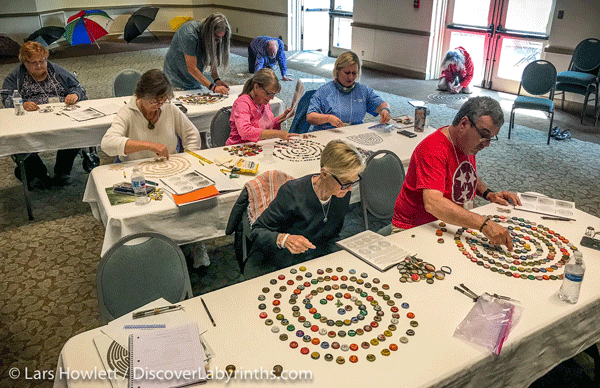 Veriditas is offering a potpourri of experiences designed to teach you everything you ever wanted to know about walking and building labyrinths - all in one week. Accommodation, breakfast and dinner are an additional cost. Launch into our week together with our introductory lecture and a Summer Solstice Labyrinth Walk. 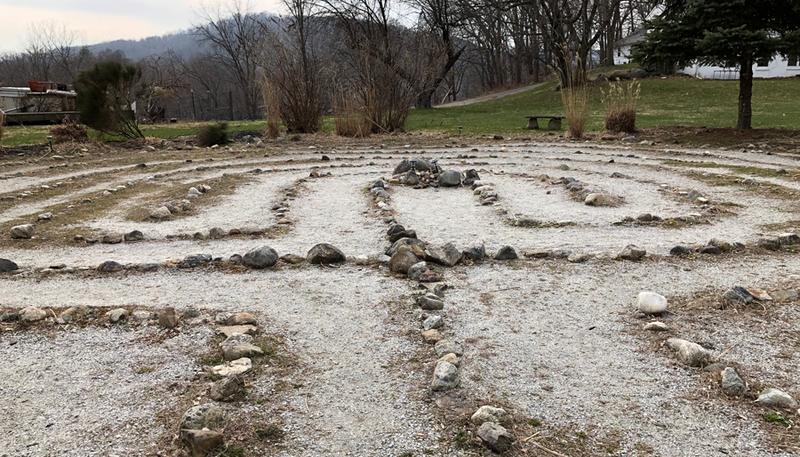 A one-day workshop for anyone interested in beginning or renewing their connection to the labyrinth. This also serves as a qualifying workshop for those interested in Veriditas Facilitator Training. 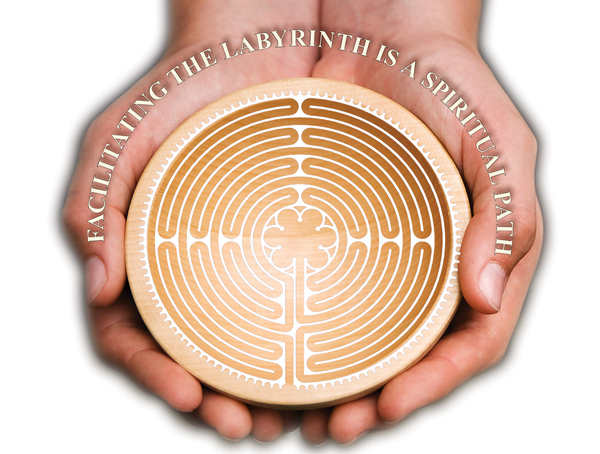 We will explore the following questions: How does the labyrinth offer itself to creating and sustaining community? What will you offer from your life and experience that may deepen the experience of walking in community? In what ways can we walk together on the path? call the office 707-283-0373 for details.